The postcard features the poem “Again and Again” by poet Rainer Maria Rilke. 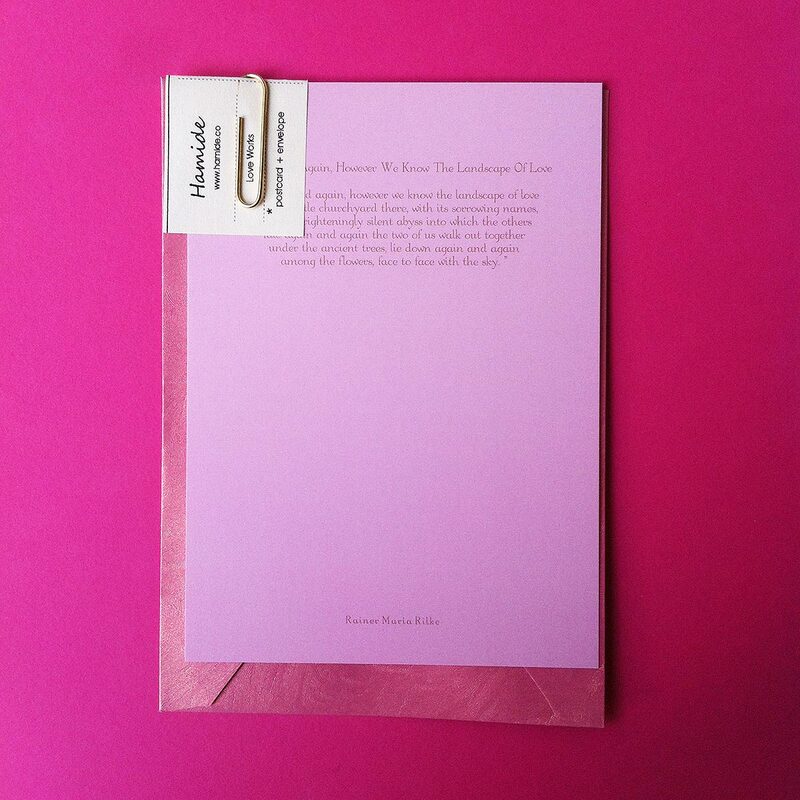 The poem is written in gold color on light pink background. Description: The postcard features the poem “Again and Again” by poet Rainer Maria Rilke. 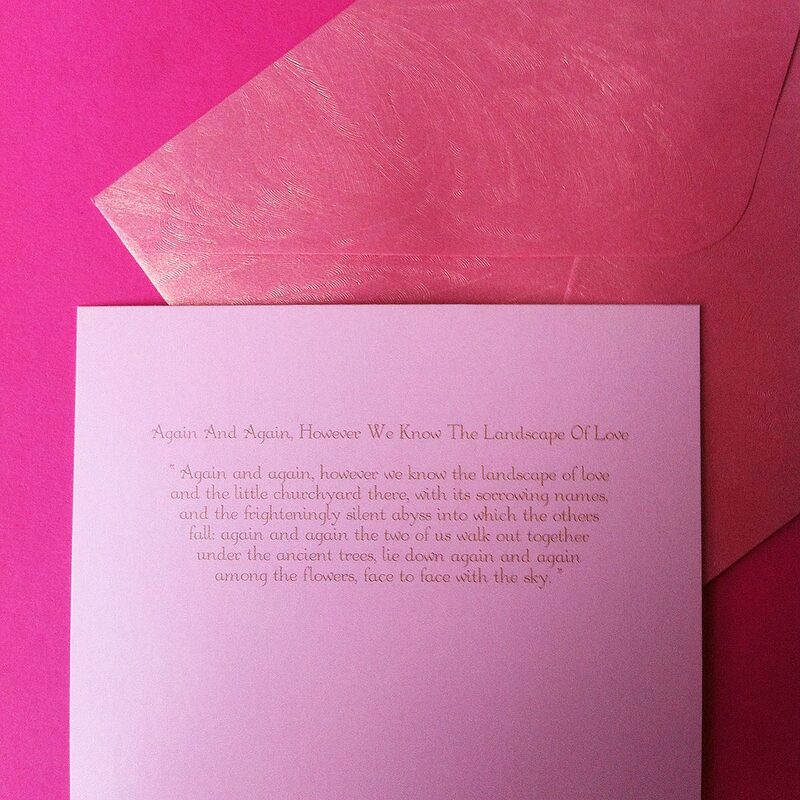 The poem is written in gold color on light pink background.